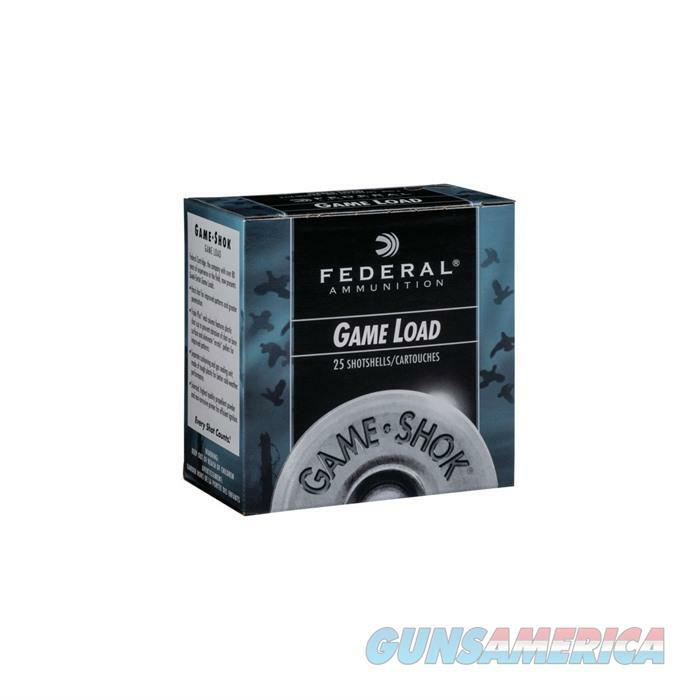 Description: Federal H1216 GAME-SHOK AMMO 12 GAUGE 2-3/4" 1 OZ #6 SHOT Federal Game shotshells give ideal performance on small game. Hit your quarry hard, but your wallet light. Hunt more and shoot more with affordable Game Shok shotshells. 25 shells per box.